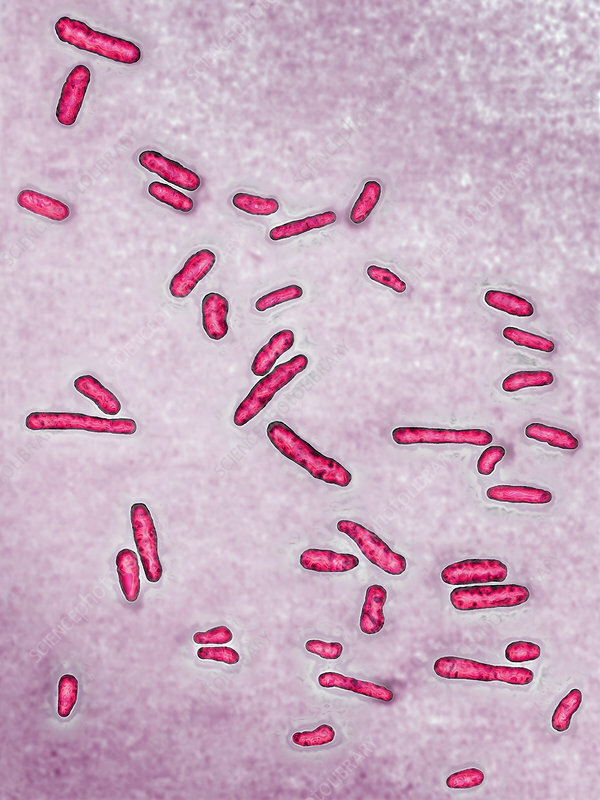 Colorized light micrograph showing Shigella dystenteriae bacteria. This is the bacteria that causes bacillary dystentery, or shigellosis, an infectious colitis characterized by an acute inflammatory reaction in the intestinal tract. The impact is severe on the body with sharp abdominal pain, dehydration, blood loss, and fever. Image colorization and HDRI treatments on optical microscopy; magnification X1850.